MEET HANNA: Seven-year-old Hanna is a sweet-but-silent angel in the eyes of her adoring father Alex. He’s the only person who understands her. But her mother Suzette stands in her way, and she’ll try any trick she can think of to get rid of her. Ideally for good. MEET SUZETTE: Suzette loves her daughter, but after years of expulsions and strained home schooling, her precarious health and sanity are weakening day by day. She’s also becoming increasingly frightened by Hanna’s little games, while her husband Alex remains blind to the failing family dynamics. Soon, Suzette starts to fear that maybe their supposedly innocent baby girl may have a truly sinister agenda. Zoje Stage lives in Pittsburgh, Pennsylvania. 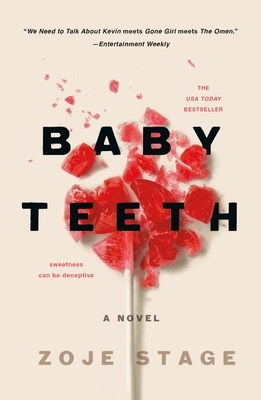 Baby Teeth is her first novel.